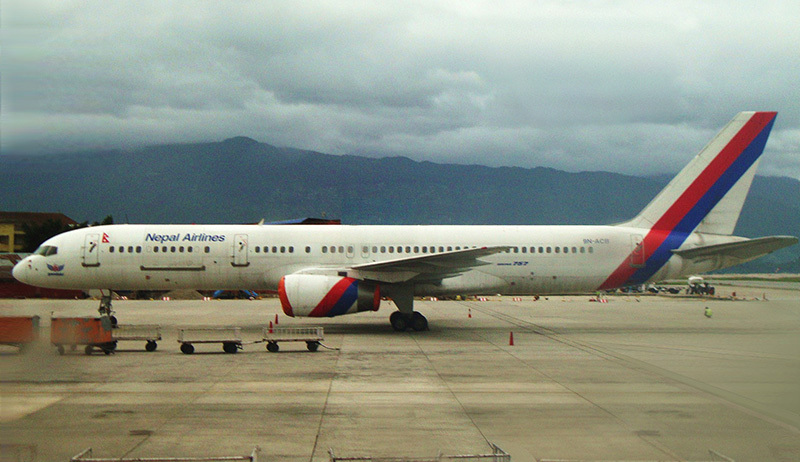 KATHMANDU, Feb 21: A Nepal Airlines flight inbound from Bangalore overshot the runway at Tribhuvan International Airport last night after a power outage on the runway. The blackout reportedly took place at around 9:00pm, when a Boeing 757 flight was making a final approach on the runway. “The flight, which had been cleared for landing, overshot the runway after the captain in command noticed electrical outage during the short final phase of his landing,” said the TIA source. The Aeronautical Information Publication - Nepal specifies that the automatic stand-by backup generator would kick in within seven seconds for TIA when primary power supply went out on the airfield. Interestingly, TIA which installed a 20 million rupee 1000 KVA diesel back-up generator right beside the control tower and adjoining the airline operations building has been more of a burden for the users for long as it generates loud noise, according to stakeholders.